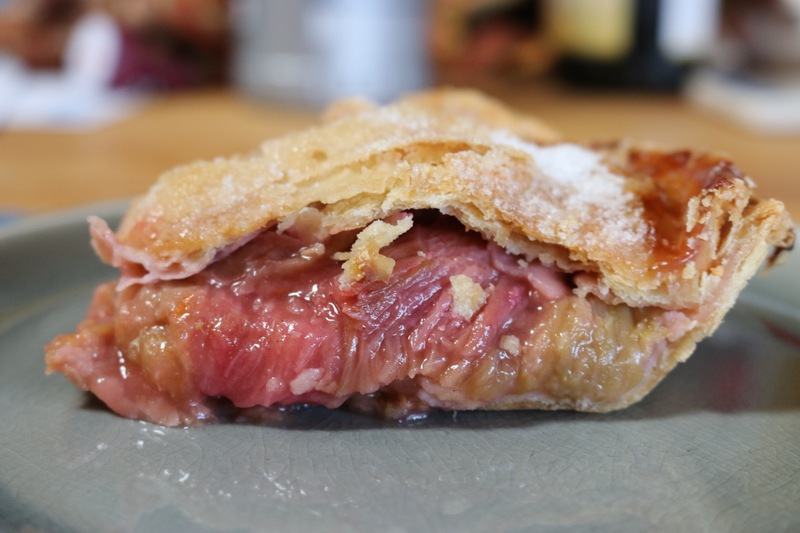 This is a post I’ve been afraid to write because it features my absolute favorite lunch spot and I’m worried that if I let the not-so-secret secret out it’ll be so popular that the line will wrap around the block. Today, I HAD to write about Bakesale Betty. If you’ve ever done a Google search for the best chicken sandwich in the Bay Area, you probably already know about this place. Open Tuesday-Saturday, Bakesale Betty opens up shop in a nondescript location in the Temescal neighborhood in Oakland, California. You’ll know the place by the long line that always forms just after opening. The ironing boards for tables outside are also a dead giveaway that you’ve found the right place. We go here at least three times a week for the incredible fried chicken and coleslaw salad. 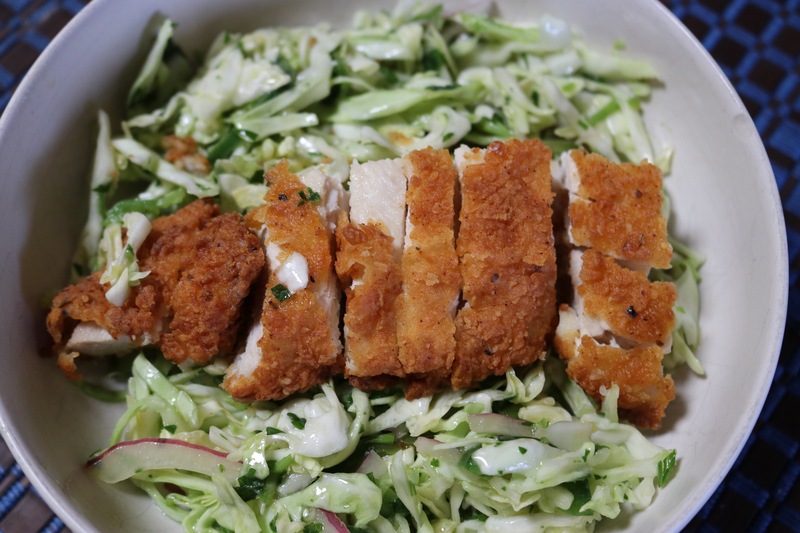 The chicken is mildly spicy and the cabbage slaw is every bit of the crunchy, vinegar goodness it looks to be. My sweet tooth rules my life and Bakesale Betty has my favorite cookie…ever. 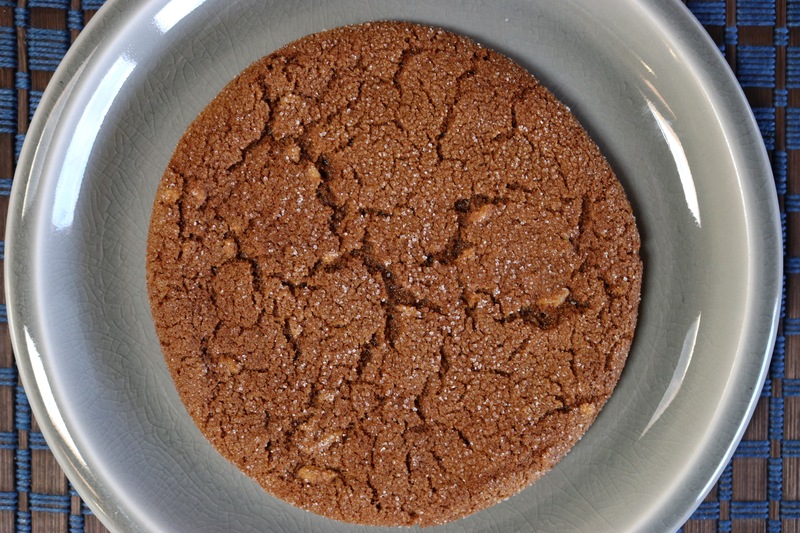 The Ginger-Molasses cookie is TO DIE FOR. All caps are absolutely necessary here. Go get and I’ll await your freak out. A couple of weeks ago, we noticed a new, sweet item on the menu – a homemade banana nut bread. I’ve always loved banana nut bread, but they go for gold with the sandy, sugar topping. 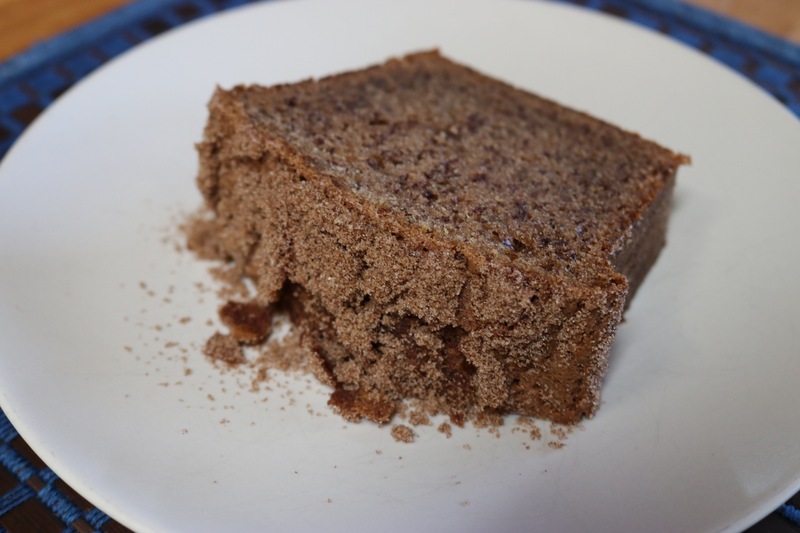 The top is a crusty brown sugar mixture that they lovingly refer to as ‘sand’. The banana nut bread was so good that we went back for a full loaf the next day. Ben made a big deal about it being amazing and lo and behold THE Bakesale Betty overheard him and lit up, “Thank you! I made that.” We couldn’t stop gushing about how good it was and what idiots we were for not getting more. 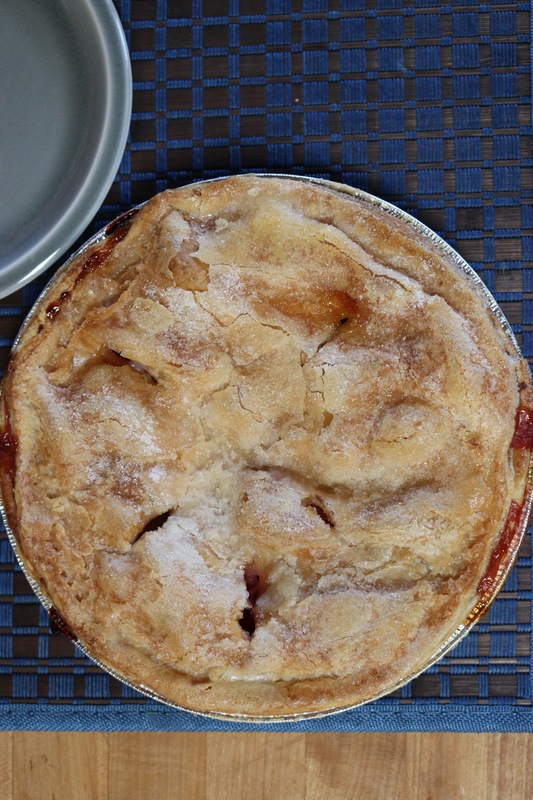 She remembered us because when we saw today’s new menu item – Rhubarb Orange Pie – we knew we needed to try a slice. Betty overheard our order this time and pulled us aside to give us a full pie because she knew we were going to die and go to dessert heaven. Meeting Betty was how I imagine meeting the Pope might be – a holy, divine culinary goddess. Now you know my best kept secret;) Bakesale Betty is Oakland’s finest. Bakesale Betty is open Tuesday – Saturday from 11am-2pm. The line moves faster than it looks! They offer fried tofu for our vegetarian friends – it’s equally amazing. Check out their Facebook page for more enticing photos. This entry was posted in Where to eat and tagged bakesale betty, bay area, dessert, food, friend chicken, oakland by Mary Elizabeth Cobb. Bookmark the permalink.